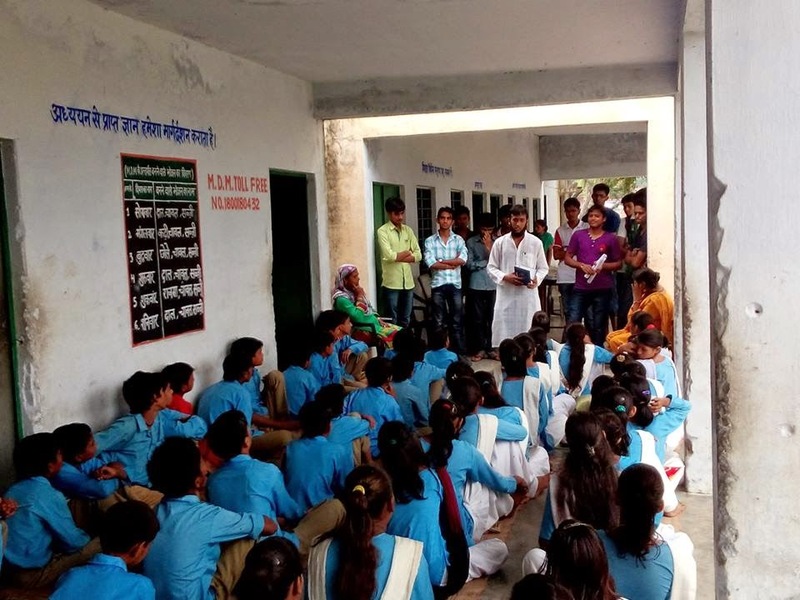 On the very occasion of Independence Day, members of Pragati cell NSS IIT Roorkee, set out to interact with the young vivacious minds of Junior High School in Paniyala, a village at the distance of about 7 kilometres from the IITR campus. The team, consisting of a total of 16 students, participated in Schools’ Independence Day Celebration. Followed by the flag hoisting ceremony, the students sung the National Anthem and paid their homage to their country. The program was attended by 130 students of the school. Following the “Learn involving Fun!! !” motto, the NSS group conducted a Quiz in which the students participated exuberantly. The event followed was a vibrant show of singing and dancing performances on the patriotic tunes, by 8th standard students, that won the hearts of the audience. After awarding these talented performers, Mr. Arshad Ali Shaikh, executive member of Pragati cell and Mr. Vikash Yadav, a volunteer of the cell, addressed the students. Through their influential speech, they appealed the students to be proud of their motherland, fight against prevailing injustice and to be faithful to their nation and fellow citizens. Mr. Shaikh also expressed his patriotism through a beautiful poem. The children seemed quite inspired by them. The principal, Mrs. Ritunan Kainthila, concluded the ceremony with a vote of thanks to the Pragati team. She encouraged the students to follow the advice given by them. The top five winners of the quiz were awarded with various attractive prizes.